You keep hearing the same thing over and over again. A degree in math, science or engineering will get you the highest paying job. While that remains true, let's face it: Not everyone is going to study nuclear engineering at an elite university. The good news is that you don't have to be a math nerd or pay tuition at one of the priciest schools in order to earn a good living. There are several associate's degrees that won't rob your bank account, but can still help you land a well-paying job. People with degrees in management information systems, construction management or economics earn a median mid-career salary of more than $71,000, according to new data from PayScale. That's a bigger paycheck than those who have a bachelor's degree in journalism, history, political science or film studies. Not to mention a major in early childhood education, which pays a median salary of just $38,000 -- taking the cake as the bachelor's degree with the lowest paid grads. Dental hygiene, fashion design and nursing, as well as engineering and computer programming, also top the list of associate's degrees with the highest paid graduates earning more than $68,000 with 10 years of experience. These degrees can usually be earned in two or three years at a community or junior college, which tend to be cheaper than four-year schools. Americans spend an average of $14,000 a year attending a two-year public college. 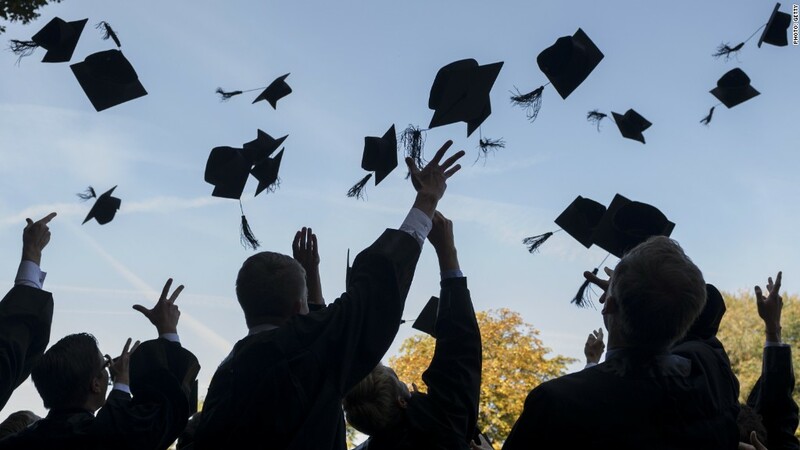 That's $10,000 less annually than they do at a four-year public school and about $28,000 less than a four-year private school, according to Sallie Mae. But starting salaries for associate's grads tend to be lower. Don't expect to be making much more than $40,000 a year even with the most lucrative associate's degree. However, there are some exceptions. The median starting salary for a dental hygienist is $61,300, according to PayScale.